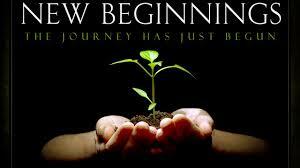 The Last Great Day of the Feast of Sukkot is all about new beginnings. This is even more exciting when we consider that this year the Holy Day very possibly coincides with the end of a schmitta cycle. If Jonathan Cahn and others are correct, this means we are about to embark on a whole new cycle of seven years, which has tremendous implications for our welfare. The Last Great Day begins at sundown today 10/4/2015 and ends at sundown tomorrow. As it is a commanded rest day and, as we have had to vacate our sukkahs due to the blessing of abundant rain, we are thus afforded the luxury of being able to spend the entire Holy Day studying Torah in the comfort of our homes. The opening chapters of Genesis contain obscure themes that, properly understood, can enable us to be the head and not the tail in our finances, relationships, health, and every other area of our lives. In fact, the opening portion of the new cycle contains so much information that it is impossible to cover adequately in a typical single Shabbat lesson. Indeed, these foundational chapters are brimming with ideas that could keep us busy with lessons for several months. I urge you to begin today reading Genesis 1:1 thru 6:8, prayerfully, asking Abba to enable you to see it in a fresh way. Especially consider Yeshua’s role in creation by meditating on the haftorah portion, Isaiah 42:5:21, as well as John 1:1-14, Colossians 1:12-17, Hebrews 1:10. Before you begin, let me suggest a one hour youtube video by Kingdom of Messiah Ministries that may serve to alert the viewer to prophetic themes which the Body of Yeshua has largely missed. Please please grab your pencil and paper and make notes as you watch and as you read the Scriptures. Study to show yourself approved and let us come together next Shabbat having done your homework and fully prepared for a lively discussion. I sincerely covet and appreciate your prayers as we begin this year’s cycle. Shalom and bra’cha!